Black women are far less likely to struggle with depression than their white counterparts. That’s the inaccurate message several headlines implied when a new study found that Black women were less likely to report suffering from depression than white women. Those headlines, however, can be extremely misleading by omitting one simple but extremely important word: Report. The study, which was recently published inJAMA Psychiatry, utilized findings from a massive survey where women were asked to report whether or not they battled with depression at some point in their lives. Researchers talked to more than 1,400 Black women and roughly 340 white women. With such a significantly greater amount of Black participants, one might be quick to think that the Black women reporting struggles with depression would outnumber their white counterparts. Even with more than 1,000 extra Black female participants, the national survey found that only 10 percent of Black women reported dealing with depression or any other mental health disorder at some point in their lives. More than 20 percent of white women said they dealt with at least one mental health disorder. When specifically focusing on depression, Black women still represented a miniscule part of the population that admitted to dealing with the disorder. While nearly 10 percent of the white participants admitted to battling depression within the last year, 5.5 percent of Black women reported the same. Another 22 percent of white women admitted to dealing with any kind of mood disorder at some point in their life. Only 14 percent of Black women reported so. So does this mean Black women are happier, more carefree individuals? Is this an implication that these women are just as strong as society has always proclaimed them to be and that despite facing life changing obstacles and unique challenges, they are nearly invincible when it comes to emotional distress? Black women are a population that has to fight battles against both sexism and racism, delivering a left hook and an uppercut to their fight for equality in a white, male-dominated world. That type of stress makes it very easy to slip into the grips of depression, but the stigma about depression and other mental disorders in the Black community discourages many Black people from seeking help for such conditions or even realizing they have a problem. The Black community boasts a lineage of incredibly strong and resilient ancestors. It’s a history to be proud of but also a past that is used against Black people who are feeling suffocated by the modern day struggles of racism, discrimination and every day life. Dr. Monica Coleman, a Black professor and author who has been diagnosed with bipolar disorder, once explained that just the idea of going to therapy is taboo in the Black community. It’s a message that Dr. Coleman said upset her and angered her even more. That’s the unfortunate reality that many Black people, especially Black women, face. 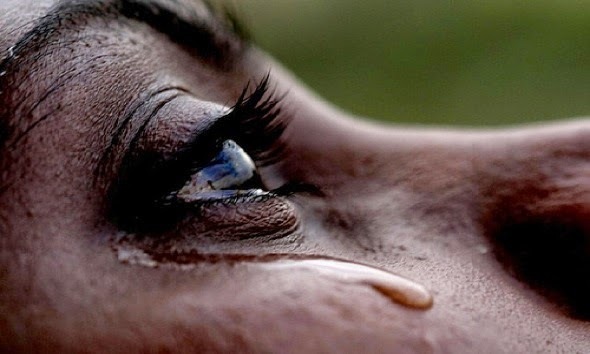 It has become so normal for some Black women to subject themselves to limitless sacrifices, emotional stress and excessive burdens that they often don’t even realize when they have crossed the line into depression. So whether it’s caused by undeserved shame or a lack of realization, Black women are indeed far less likely to report struggling with depression. They are far less likely to deem what has been presented to them as the daily life and responsibilities of the “strong Black woman” as depression. They will rarely open up to find comfort in others when they have been taught to always be the source of comfort themselves. Black women may not report that they are depressed or even seek any help or advice. This does not mean, however, that they are any less likely to be in the midst of a grueling battle with depression or any other disorder.